This June school holiday, I booked a Resorts World Sentosa 3D2N hotel and multi-attractions package. 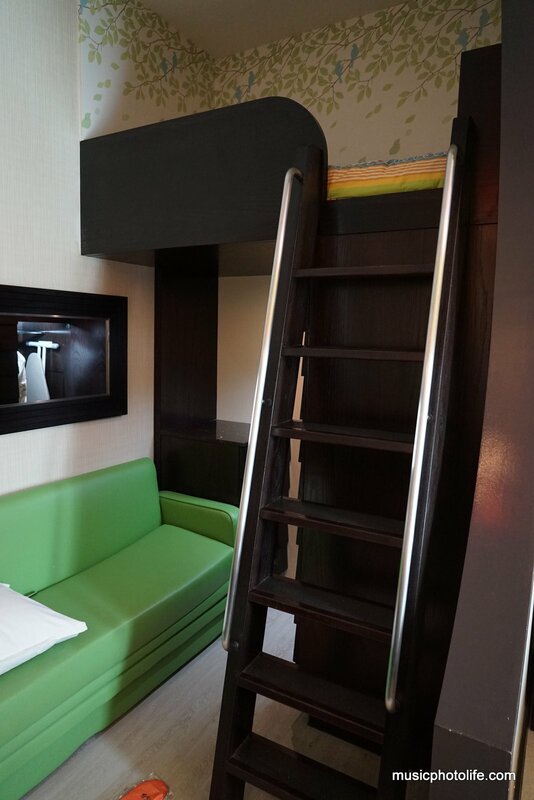 I picked Festive Hotel because M loves bunk bed, and paid S$764 for the package. I also had to pre-select the dates for each attraction, so I chose the Aquarium for Day 1, Adventure Cove for Day 2, and USS for Day 3. 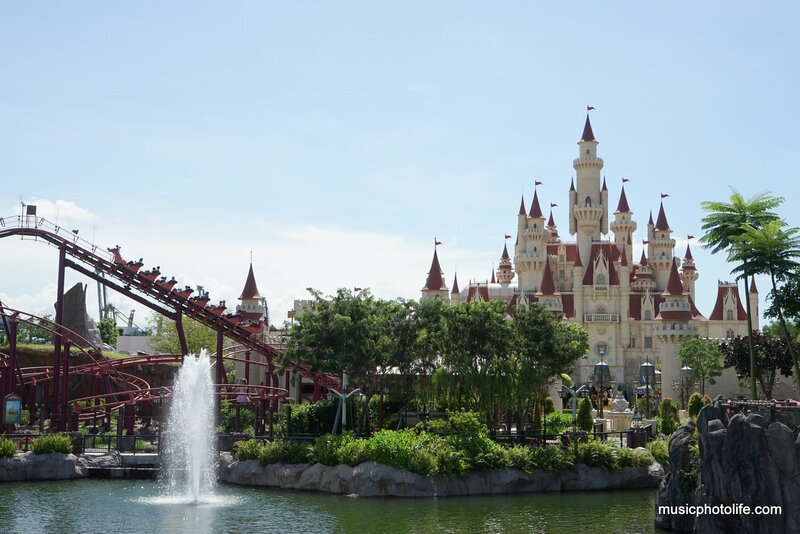 I arranged such that the first day would be a warm-up to our staycation, the second day we would need the hotel to wash up after the water park, and final day we would check out early and spend the rest of the day at USS. Upon check-in, the staff will also provide Sentosa Express 3-day passes for entering Sentosa from VivoCity. You may request for up to 2 complimentary car park tickets any time from Concierge, and The New Paper (TNP) is also available next to the Concierge, with compliments. After an early morning shopping and sumptuous lunch at VivoCity, we entered Sentosa at 1pm by car. Park your car at the B1 West Car Park, which is accessible by keeping left as you enter RWS basement. After driving past the casino entrance, you will see a left turn sign just after the busy drop-off points. Then access the Resorts World Convention Centre (RWCC) and take the escalator up to L1. Festive Hotel is just to the left. 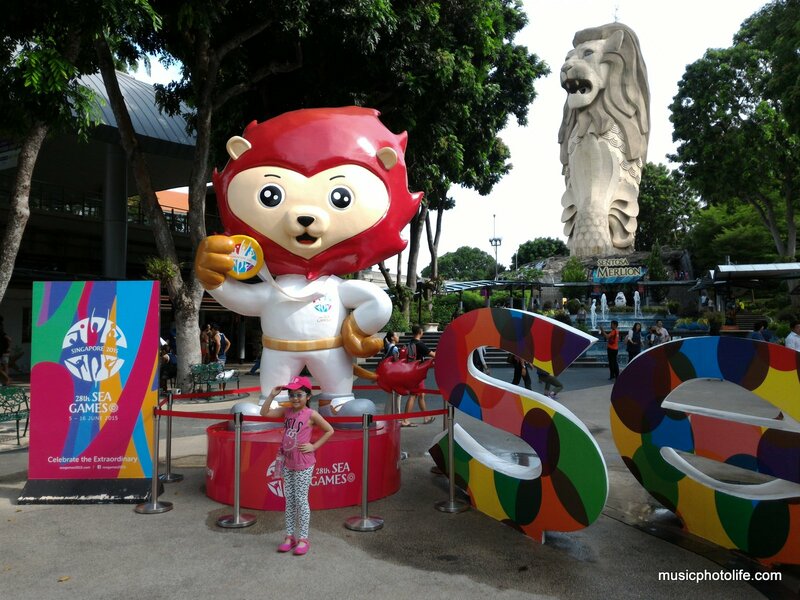 Since the hotel only allowed check-in after 3pm, we decided to visit the Sentosa attractions first. Weather was cloudy and windy, thankfully, for it was raining for the past few days. M was picky with the rides as she is generally timid. 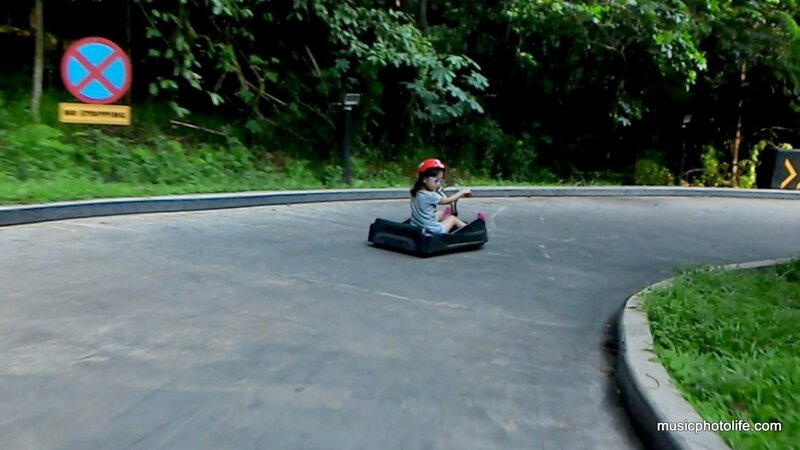 We couldn’t convince her to go for MegaZip Adventure Park but we brought her for the Luge ride and she was addicted. 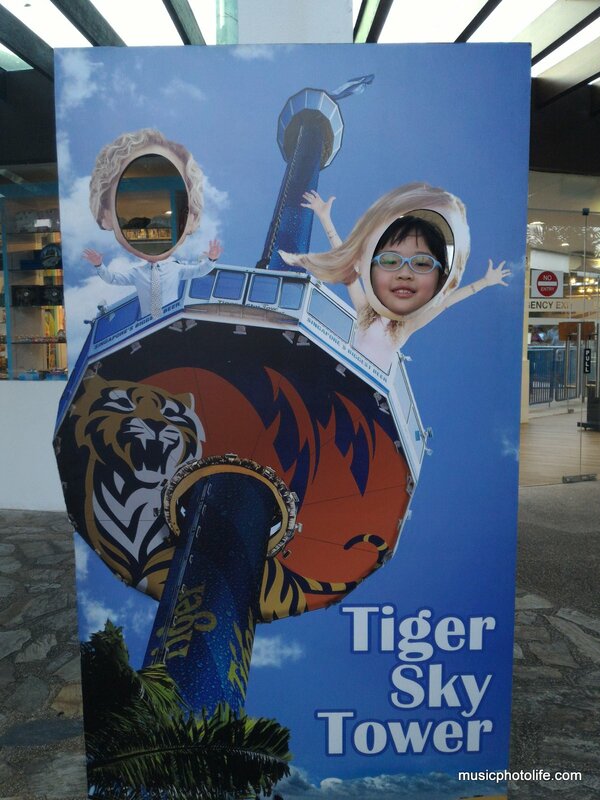 We also let her take Tiger Sky Tower on her own. She seemed to love this ride so much that she would always talk about it and point at it whenever she saw the ride. Little wonder, since the Sky Tower is the tallest. 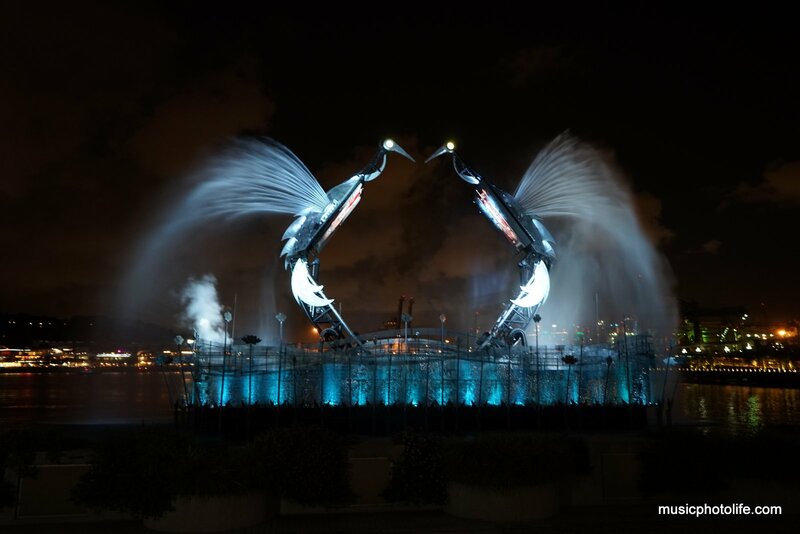 most visible landmark in Sentosa. 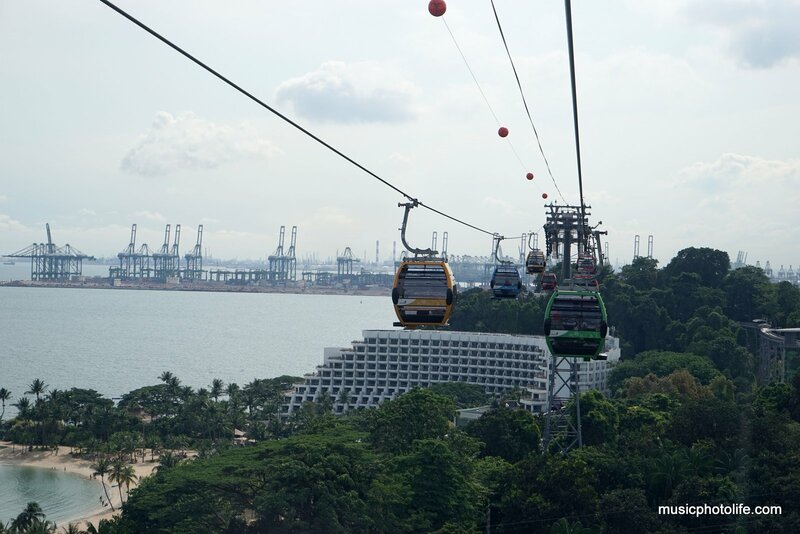 We also tried the new Sentosa Line Cable Car, with stops at Merlion, Imbiah Lookout and Siloso Point. It only costs $9 for adult and $5.50 for child, so this is certainly a more affordable cable car ride experience compared to the current Mount Faber line. We finally let M took MegaBounce as she had been noticing this ride popping up at shopping malls. RWS Invites members get 20% off (usual $10). This ride is located between S.E.A. Aquarium and the Insadong Korea Town food place. 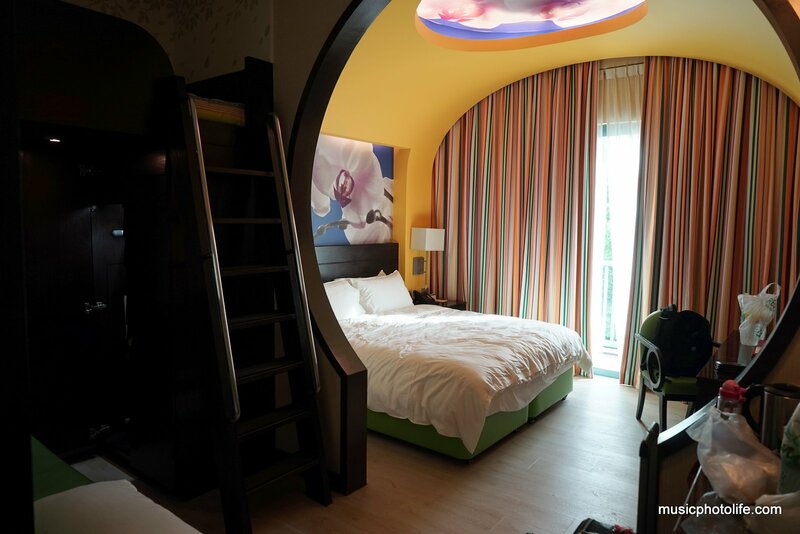 Wifey and I were not so impressed with the hotel room, as we probably set our expectations too high after experiencing Legoland Malaysia Hotel. The king-sized bed was too soft and lacks support, we could not sleep well. The floor was laminated, not carpeted. Fortunately, daughter was pleased with the bunk bed, which was really high up there, above the wardrobe and mirror. We skipped the S.E.A. Aquarium because we already went there last year and the package only came with 2 adult tickets which meant I had to buy another child ticket if we were to go in again just to consume the free tickets. So my enterprising wifey managed to sell the e-tickets to a thankful couple near the entrance. We helped them save a couple of red notes from the transaction and they helped us fund our rides. Win-win. We had breakfast at Toast Box, where prices are about 50% higher than “mainland” Singapore. But the kopi, eggs and toast tasted just as good. After changing into our swim wear, we deposited all our belongings in the locker for $10, which you can reopen repeatedly. I didn’t have a waterproof phone casing, so I didn’t take any photos of us playing in the waters. We found out that the souvenir shop inside the attraction sells them, so you could get yours there if you forget to buy before entering. Also, please be generous on sunscreen lotion, or else you might get sun-burned, which we did. M was more receptive to the rides compared to the Legoland Water Park. The water slide rides like Pipeline Plunge, Whirlpool Washout and Spiral Washout were enjoyable, because the rafts glide really smoothly as compared to roller coaster rides. The queue was short during our first go, and got longer when we went later, but the wait was still manageable at 15 minutes tops. The longest queue we noticed was the Riptide Rocket which we didn’t try as the wait sign said “50 minutes”. M also loved the Bluwater Bay. The artificial waves were the largest she had experienced, albeit a safer environment for her to try out what open sea waves felt like. We left Adventure Cove at 2.30pm. Too tired to hang out anywhere for lunch, we bought McDonald’s takeaway and went back to the hotel for a rest. M pestered us for more Luge ride, so I alone brought her, leaving wifey recuperating in the room. I bought the 5-ride package with Mastercard for a special price of S$32. By the end of the 5 rides, M had managed to weave in and out confidently among the novice riders. Before dinner, I let her go for another go with MegaBounce. Wifey met us and we headed for dinner at Putien, an authentic Chinese cuisine restaurant. Prices are similar to “mainland”, which delighted us. We timed our dinner so that we could watch the Crane Dance at 9pm. 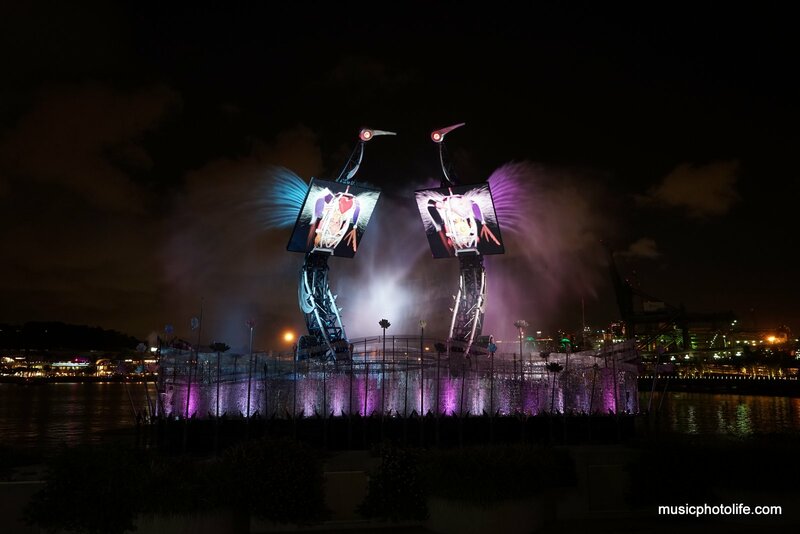 It was an interesting visual presentation combined with mechanical movements, digital display, water, lights, and brief burst of fireworks. 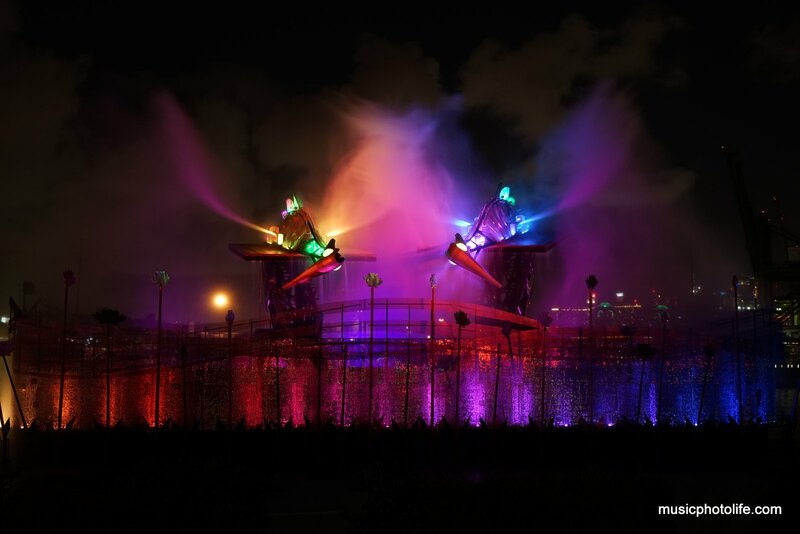 The other show, Lake of Dreams, at 9.30pm, was a disappointment. 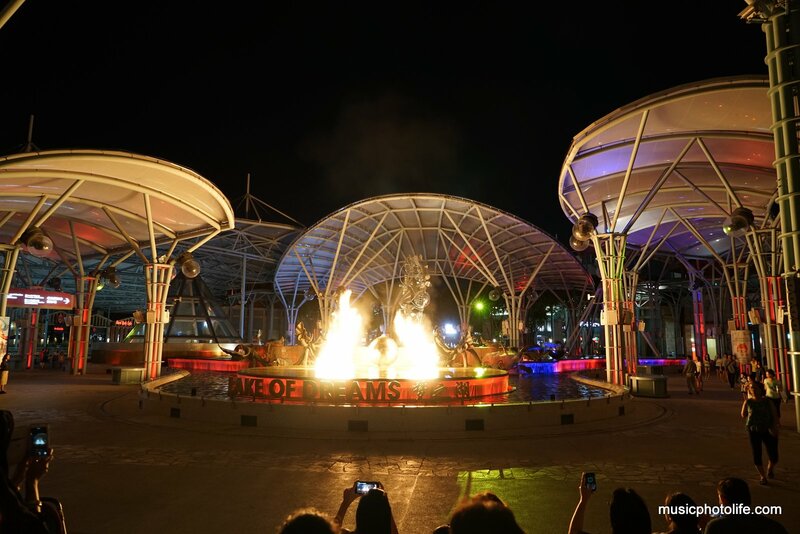 It was just narration and a play of water fountain, lights and a bit of fire effects. M prefer this though. Many spectators left the show halfway. We checked out at 9.30am, and after leaving our luggages at the car, we had breakfast at Toast Box (again). We entered USS slightly after 10am. 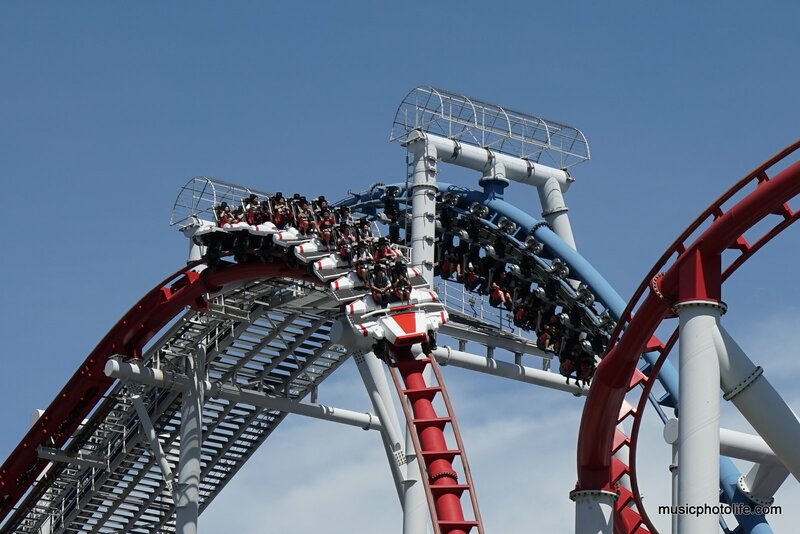 During my last visit to USS, I missed the Battlestar Galactica ride due to foul weather. Thereafter, the ride was closed indefinitely. Luck had it that the ride reopened 2 weeks back, so I made sure I did not miss the ride this time round. I went on separate ways with my family and headed straight to the ride. Before the ride, I deposited all my belongings and loose pocket items in the locker that was free for 45 minutes. The locker is activated by biometrics, but you might want to carry a few $2 notes in case you missed the 45-min grace and had to pay to open the locker.. At the entrance, the attendants scanned your body with metal detectors. First I went for the Human red line ride. It was mild. Apparently, USS redesigned the ride so it was not as “dangerous”. Then I went for the Cylon blue line ride. It was awesome! My legs were dangling, there were multiple 360-degree turns, we went through walls of mist. Best part of all, I was on the front seat. Still, it was still not as scary as the Gold Coast Australia rides I had been to, so I didn’t crave for another round. I caught up with my family at Far Far Away land and went for the new Puss in Boots Giant Journey ride. It was enjoyable, and the waiting time was short, so M requested to go for another round. We then went for the Donkey Live! Comedy Show, which was presented on a projector screen. What caught us by surprise was that the animated Donkey was actually performed by a live voice actor, with the animation synced intelligently with the voice. There was interaction with the audience, and definitely worth experiencing. At the Ancient Egypt, M tried the Revenge of the Mummy for the first time. I had to psyche her for the Mummy ride for she was terrified of dark rides. Fortunately, she pulled through. We also caught the Sesame Street live shows and rides that were new since we last came 2 years back. 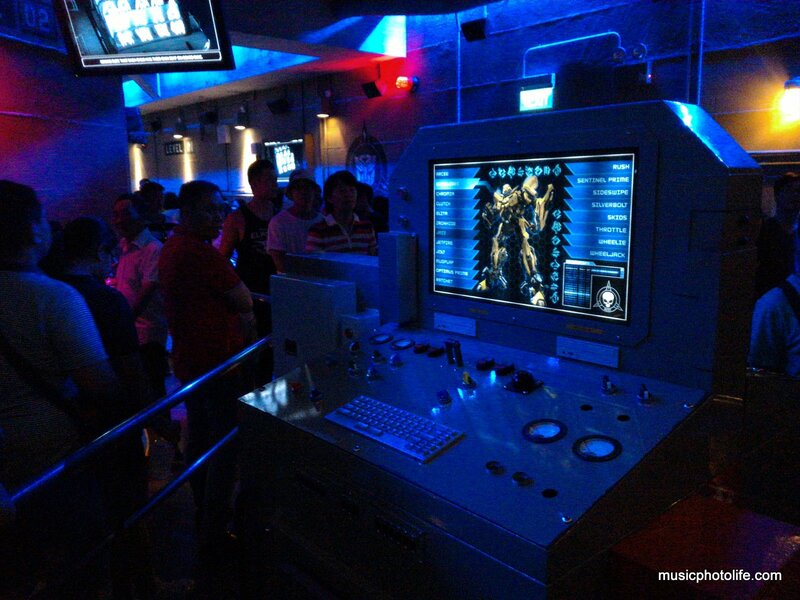 We all took our favourite ride of USS, Transformers! The ride was so realistic that I actually felt a little nauseous after the ride. As we exited, I did my ritual to seek for worthy merchandise for collection. 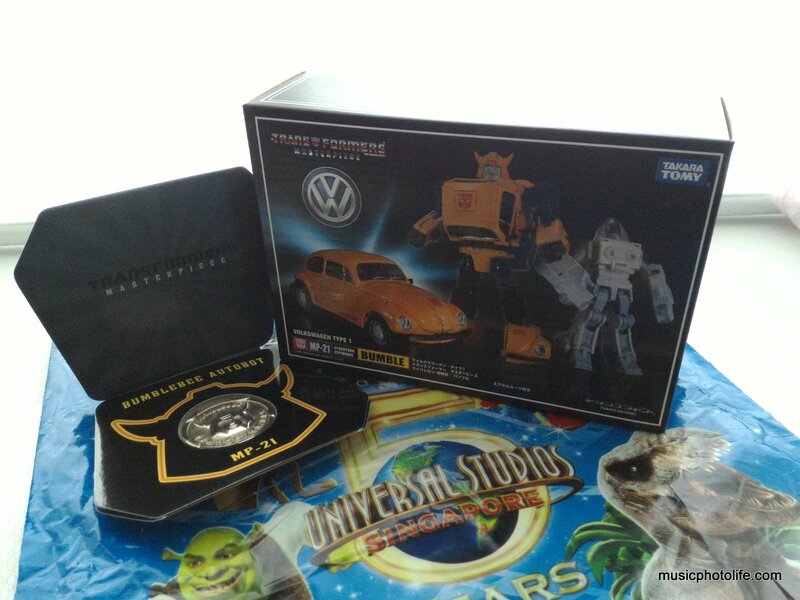 I found Masterpiece Bumblebee MP-21, the original G1 version in official-licensed Volkswagen Beetle look. Like all other Masterpiece series, Takara Tomy spent effort to design the products to be as realistic as possible in both robot and alternate modes. The set includes Spike in a transformable Exo-Suit, as seen in Transformers The Animated Movie (1986). The purchase came with a collector’s coin and additional face plate. Mastercard holders enjoy 20% discount, so I got a pretty decent value out of it. 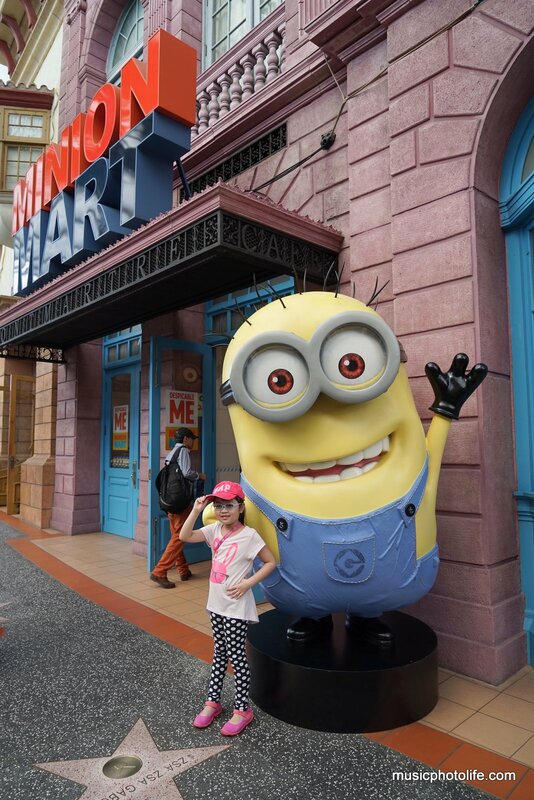 Besides Sesame Street characters, the Minions are also new stars of the theme park. They even dedicated an entire shop for them. 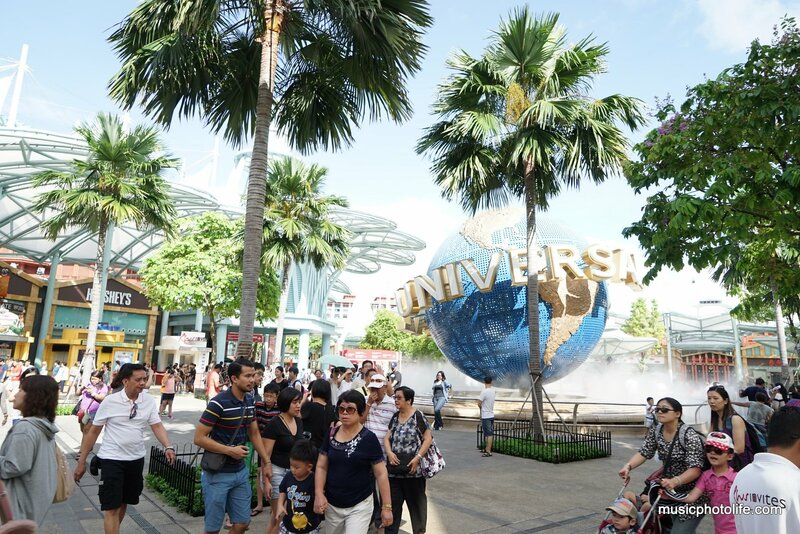 2015 is the year of Universal Studios, with Minions movie and Jurassic World movie showing in cinemas, there are going to be loads of interest in USS. And so ends our 3-day vacation. 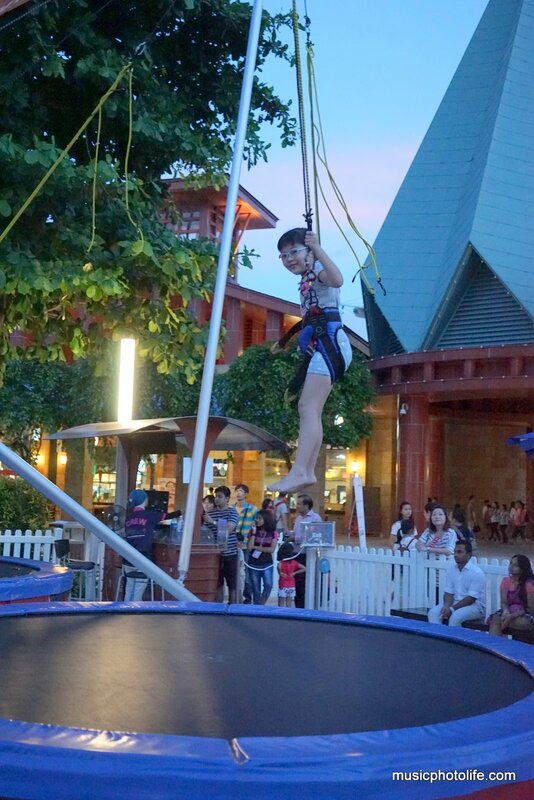 Doing a staycation at Sentosa once in a few years can be rather refreshing even for locals. 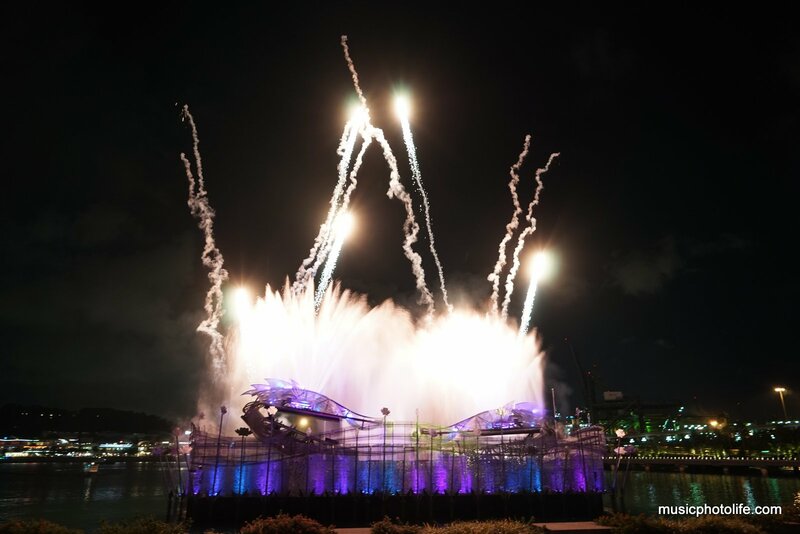 I booked a staycation package at Sentosa RWS Festive Hotel which includes multi-attractions Universal Studios Singapore, Adventure Cove and S.E.A. Aquarium.